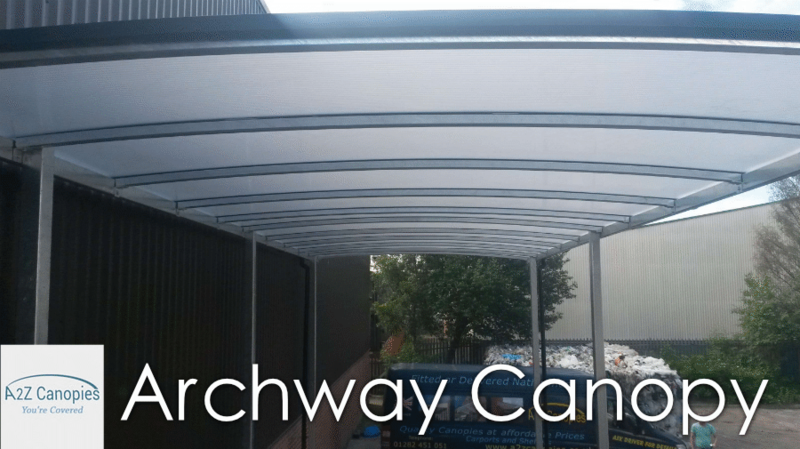 Contact us to find out more information on how we can design, manufacture and install your Canopy. 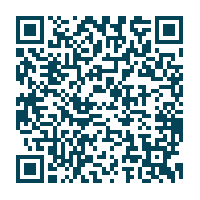 Our all in one service means you get the result you need. 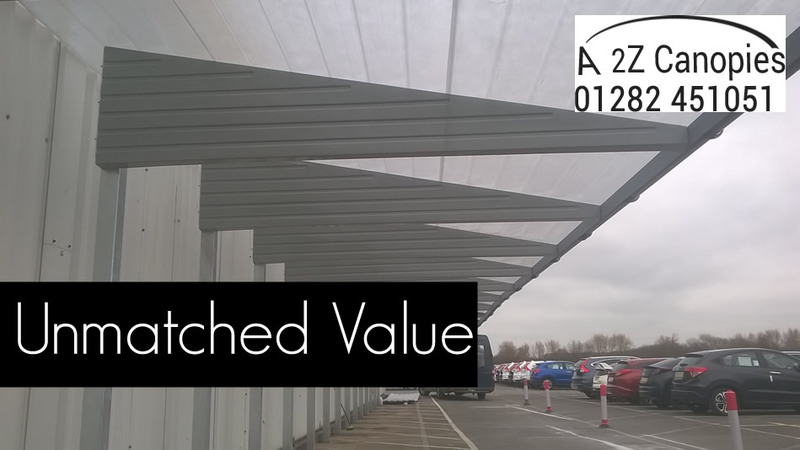 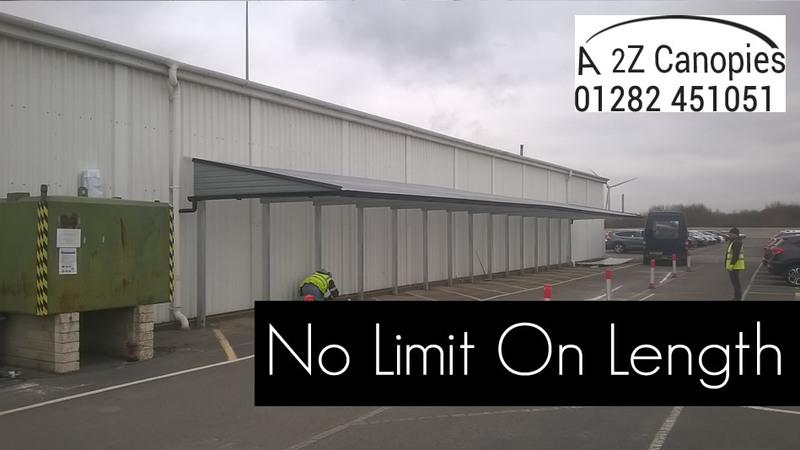 A2z Canopies have installed many canopies to provide an outside storage solution, for example, provide cover for loading bays. 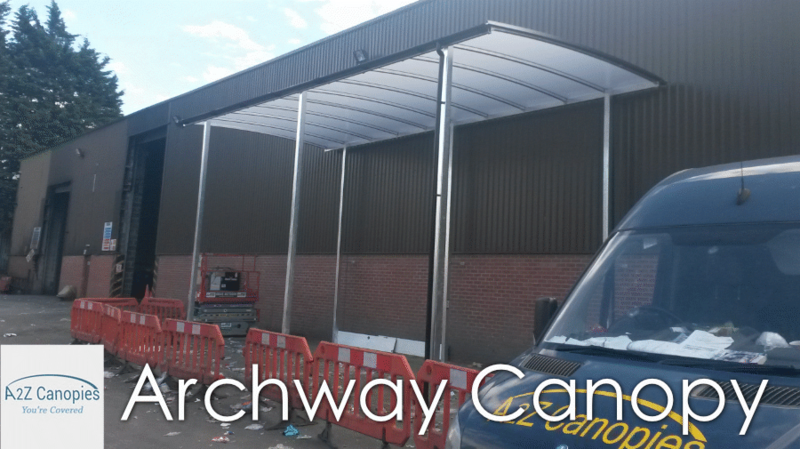 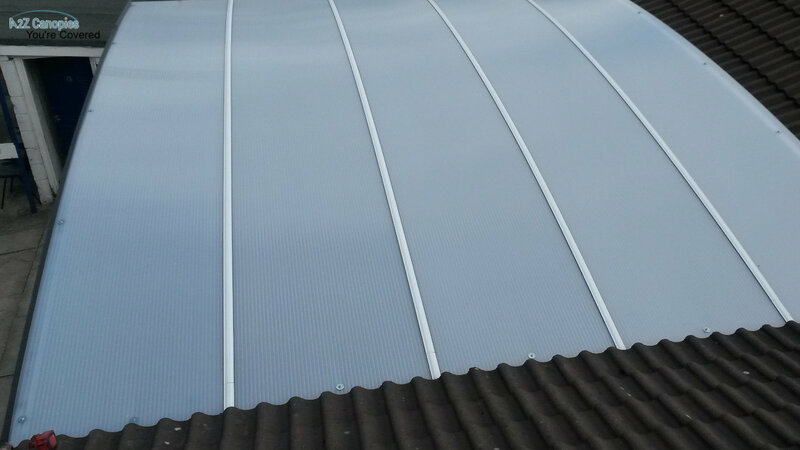 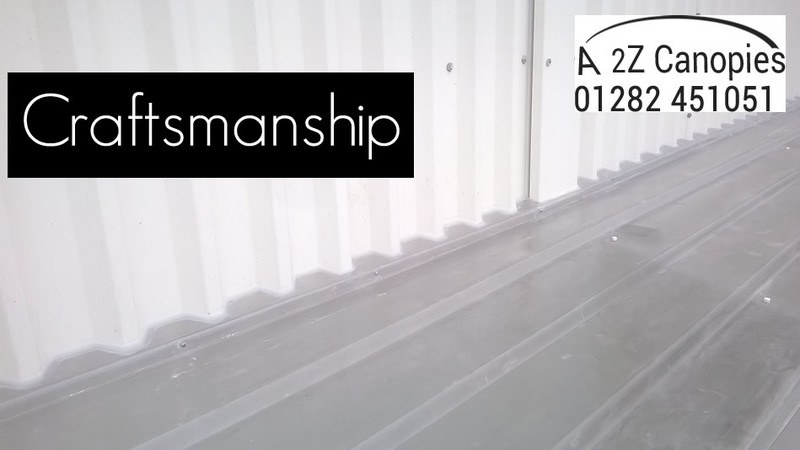 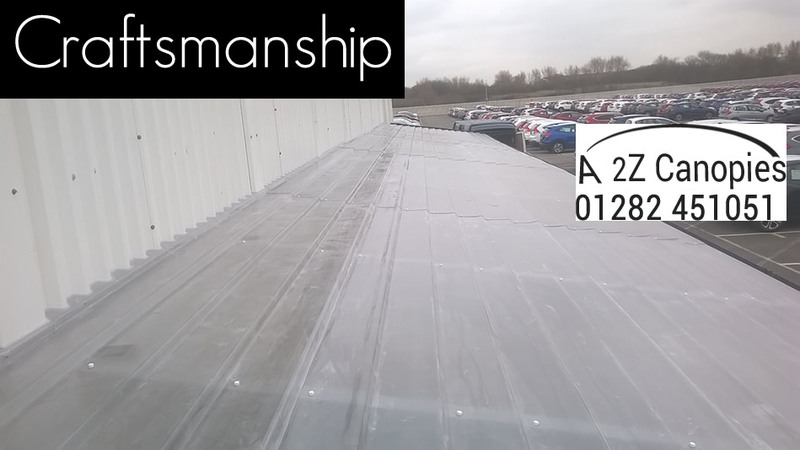 See below to view some examples of Canopies we have installed on factories or free standing. 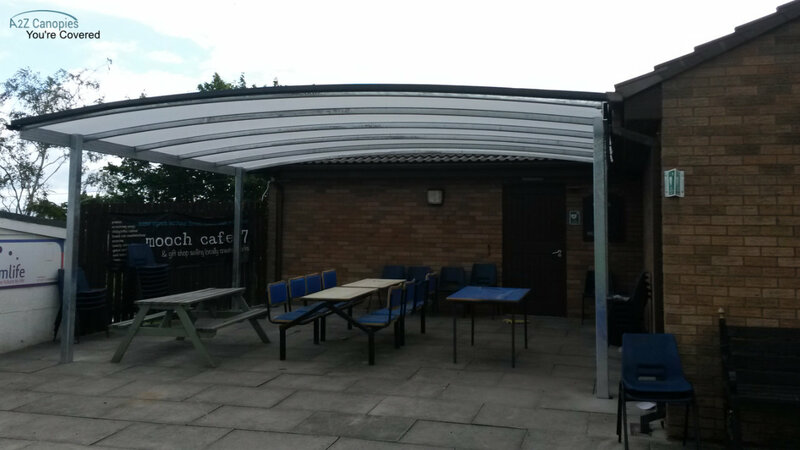 We were tasked with designing a Cantilever Canopy design that suited the asthetics of the building. 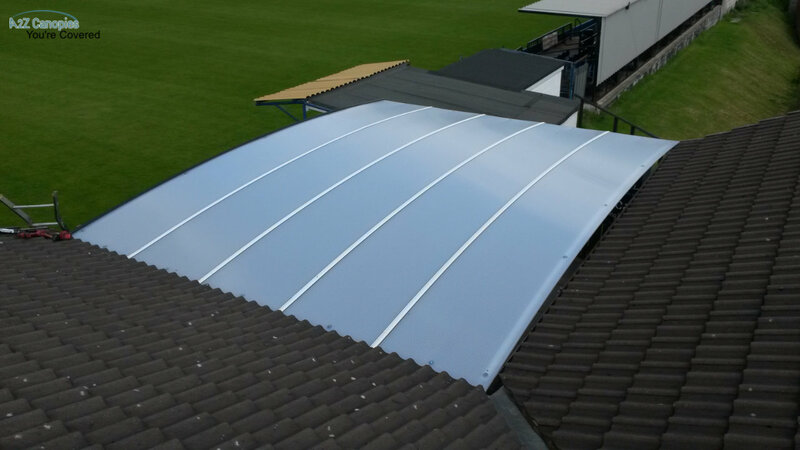 We customised the colour of the beams to match the side building. 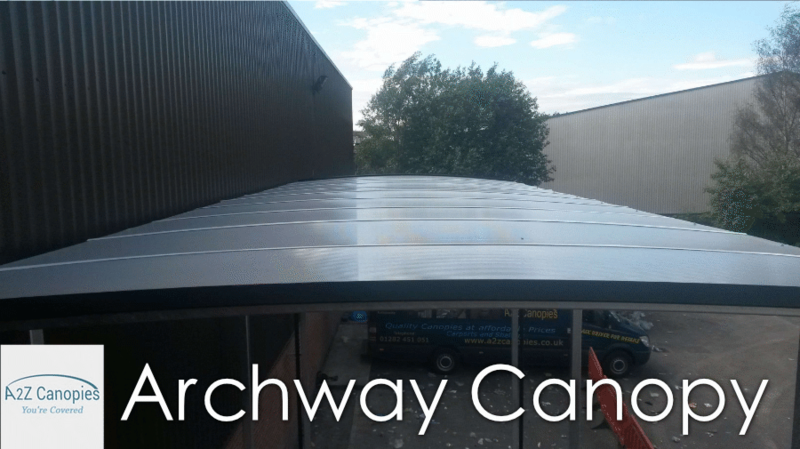 We were tasked with designing an Archway Canopy design that was for putting buses under. 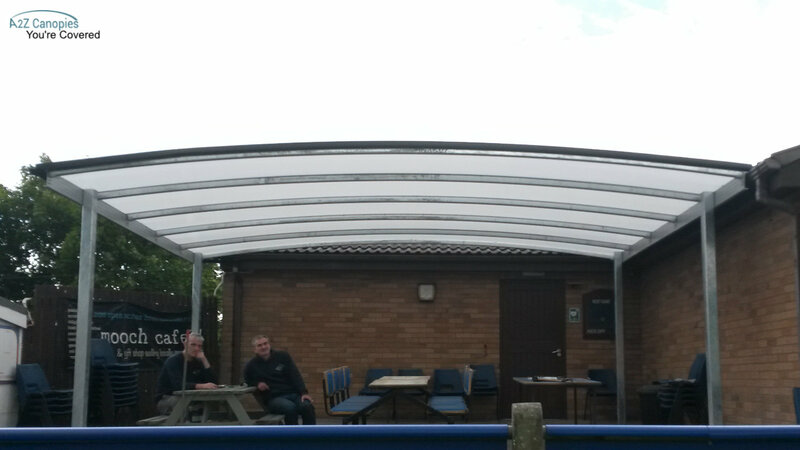 Padiham Football Club Archway Canopy for spectator and sitting. 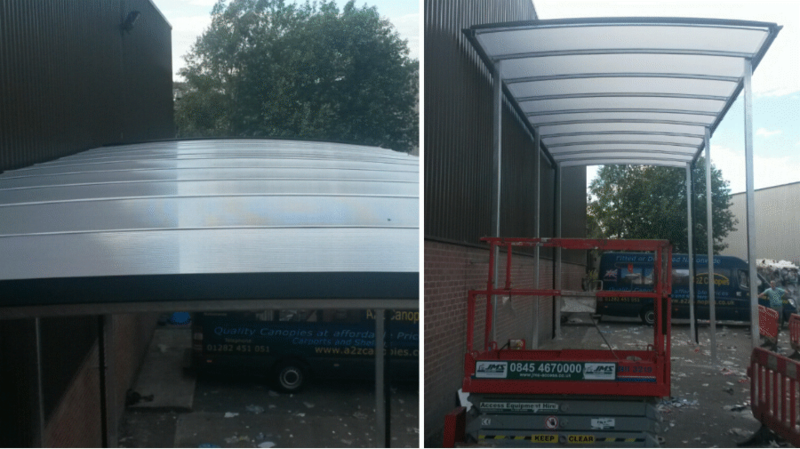 Several Blue Cantilever Canopies Installations throughout the UK.